desc: Cynthia is a comedian starting her career performing in Philadelphia and New York City. She realized that her smile was holding her back from advancing in her career. 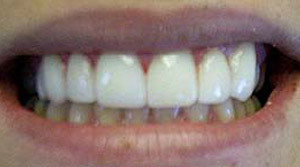 After a piece of old bonding chipped on a front tooth she finally had enough and came in to see us for a smile makeover. 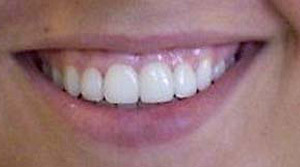 We did a ZOOM whitening procedure in addition to porcelain veneers on the top 8 teeth and now she cannot stop smiling! Cynthia has already recommended friends and family to our office and we’re so happy to have helped in her amazing transformation! desc: Winkenia was unhappy with the color and shape of her front teeth. With just two easy appointments she was very pleased. We performed in office ZOOM! 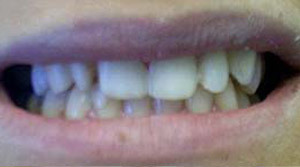 Whitening and then did bonding on several of the front teeth. The result is a huge improvement! desc: Jeff, 24, from Delaware was a Q102 radio winner in Philadelphia for a contest that we sponsored. 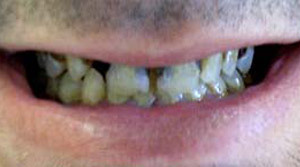 He had severe TOOTHACHES, CAVITIES, GINGIVITIS and GUM DISEASE. He could not otherwise afford treatment, so Dr. Cirka donated his MAKEOVER. 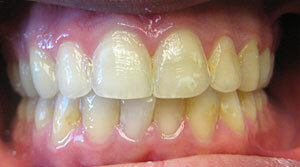 He did 6 upper teeth with CROWNS, ROOT CANALS, COMPOSITE WHITE FILLINGS, ZOOM! 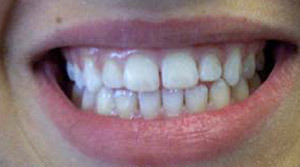 ONE-HOUR WHITENING and GUM TREATMENTS. 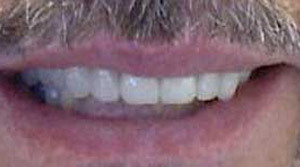 Jeff was considering removing all of his teeth. Now he is HEALTHY and has a great smile! 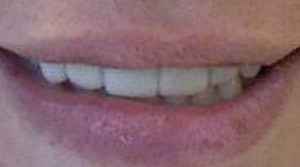 desc: Carol, 27, had 2 VENEERS previously at another Philadelphia dentist. 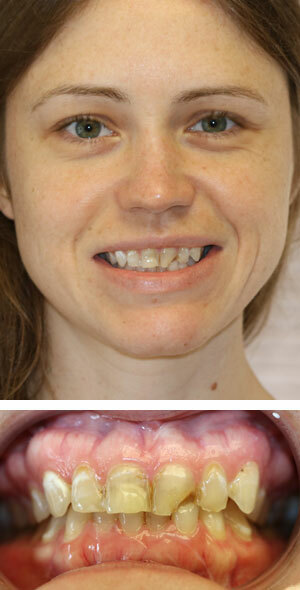 She was dissatisfied with SPACE between upper and lower teeth, DISCOLORED lower TEETH. We did ZOOM! 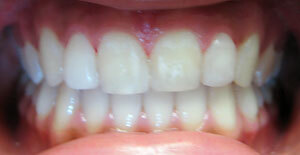 WHITENING and 6 upper LUMINEERS. desc: Stephanie, 25, purchasing manager for Lucky Jeans, had CHIPPED, SPACING and a SMALL front tooth. ZOOM! 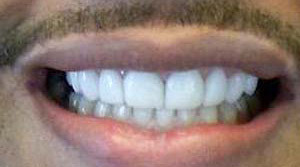 ONE-HOUR WHITENING and 6 upper PORCELAIN VENEERS (LUMINEERS) were done. She is back flying throughout the U.S. with more confidence than ever! 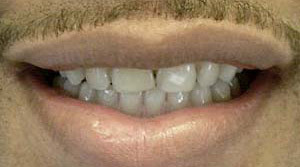 desc: Sean, 25, a real estate broker, was unhappy with his YELLOW TEETH and the SPACING between them. ZOOM! 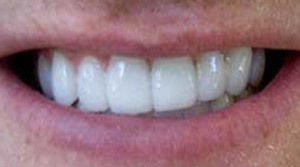 ONE-HOUR WHITENING and 8 upper PORCELAIN LUMINEER VENEERS later, he has a new smile and more confidence. He was a good-looking guy before, now he looks great! 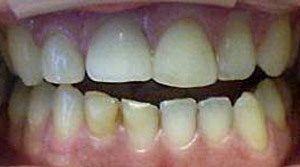 desc: Kelly, 16, student wanted the SPACE between her two front teeth closed and WHITER. ZOOM! 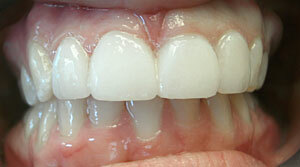 WHITENING and 4 upper PORCELAIN VENEERS were done without shaving her natural teeth. From the Main Line, her mother wanted to find a Philadelphia dentist that she trusted with her daughter. They both felt so relaxed in our waiting room that Kelly had the treatment completed the same week that they met us! desc: Dave, 36, a lawyer, drove 3 hours to see us. After having two other consultations, with a New York dentist and a New Jersey dentist, he came to us for a third opinion. He had SPACES between his two FRONT TEETH and HATED THE COLOR. We did ZOOM! 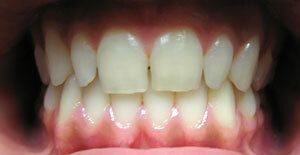 ONE-HOUR WHITENING and 8 upper PORCELAIN LUMINEERS. He is back in the courtroom and he is more confident than ever! 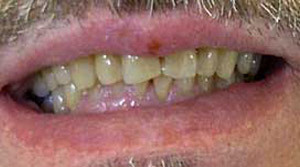 desc: Paul, 55, a nurse anesthetist and recently single, was dissatisfied with WORN, BROKEN YELLOW teeth. Paul was very hesitant at first, seeing us for a few consultations before the MAKEOVER was started. He had a lot of questions. 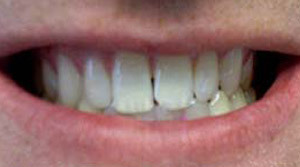 He is seeking a new woman to date, now that he had his 8 UPPER LUMINEER VENEERS placed and ZOOM! WHITENING. 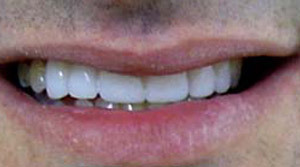 He claims that having his teeth done was one of the best decisions that he ever made…and he looks 10 years younger!